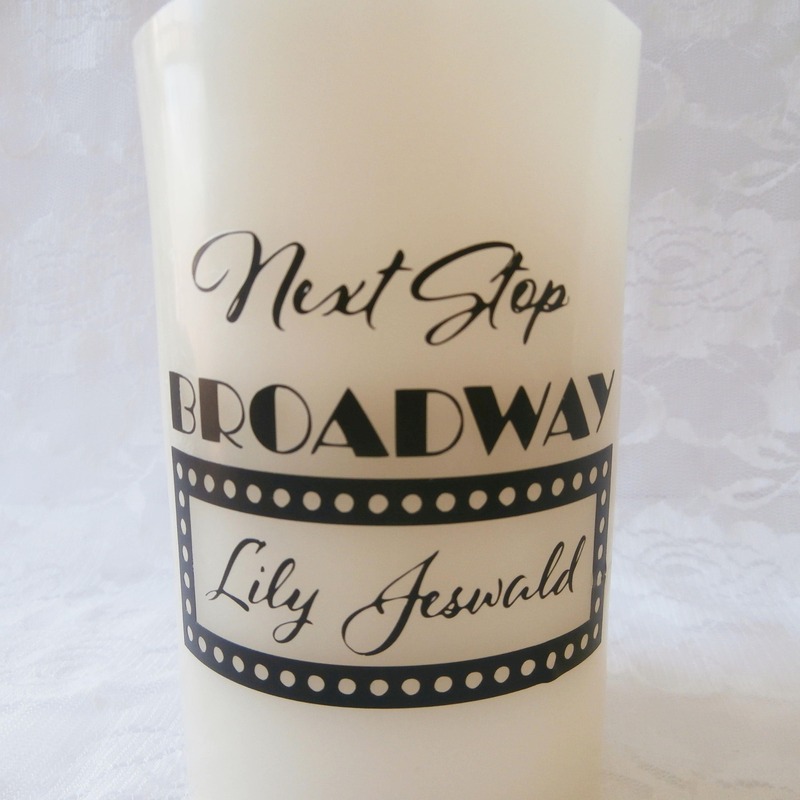 This Personalized Candle is the perfect gift for a singer or anyone with Broadway potential. 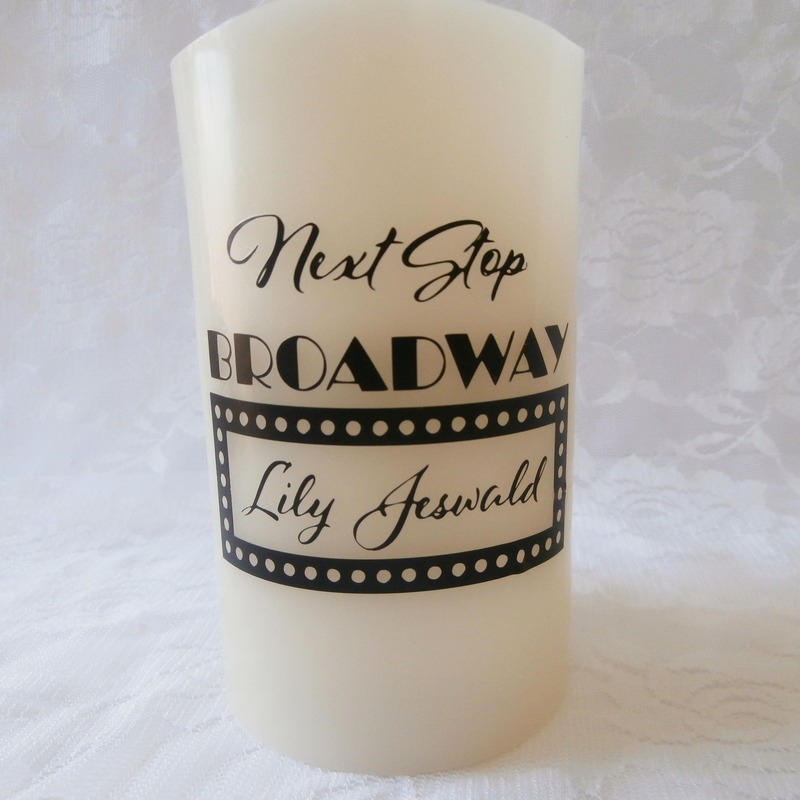 Help encourage your talented loved one with a Decorative Flameless Wax Candle. These Candles are perfect for Dorm Rooms. 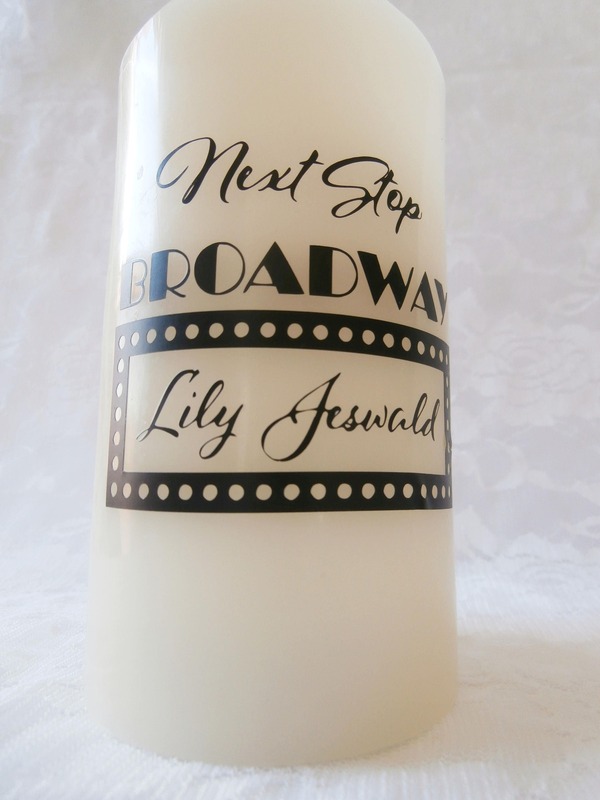 Image reads: Next Stop Broadway with personalization in the sign. The flameless candle measures 3"w by 5"h. The candle is battery powered.